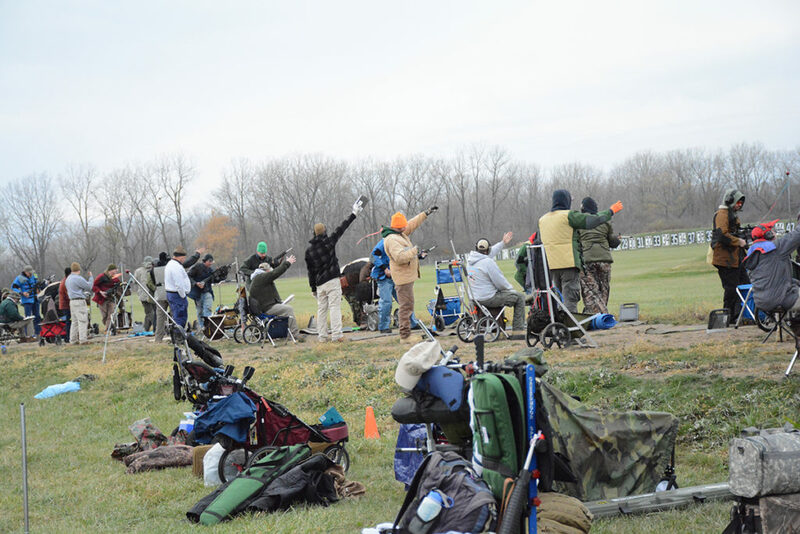 CAMP PERRY, Ohio – On a chilly, yet entertaining weekend in November, the Civilian Marksmanship Program (CMP) hosted a Garand/Springfield/Vintage/Modern Military Rifle Match, an 800 Aggregate Match and a Service Rifle EIC event at Camp Perry. Temperatures dipped into the 30s as over 100 entrants filtered through Petrarca and Viale ranges, each given the chance to operate CMP’s own electronic targets that were featured at each firing point. Nick Till was the overall winner of both the EIC and 800 Aggregate service rifle matches on Viale Range. Coming out on top of the 800 Aggregate service rifle and EIC course was Nick Till, 43, of Howell, MI. 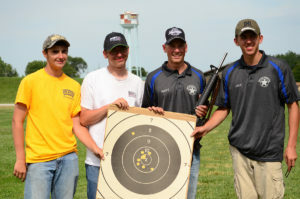 Till, a member of CMP’s highpower team, squeaked out a win by only one point in the National Match course EIC event – passing second place finisher and top non-Distinguished competitor David Lange, 49, of Glen Rock, NJ, with a score of 485-14x. Lange, already double-Distinguished in Service Pistol and and .22 Rimfire Pistol, earned 10 more points towards his Service Rifle Badge – setting him at 20 total points towards earning his third distinguished discipline. 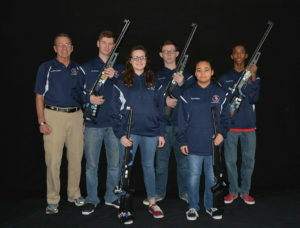 In the 800 Aggregate match rifle category, Terrance Paul, of Cleveland, Ohio, was the top competitor with a 789-40x. Paul also won the CMP Cup 2400 Aggregate held back in June at Camp Perry. A line of competitors braved the chilly November weather to fire on CMP’s traveling electronic targets at Camp Perry. 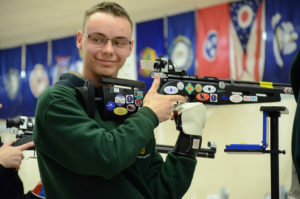 In the 800 Aggregate event, Till dominated the field by more than 10 points to achieve a score of 787-27x for the win in the service rifle category. 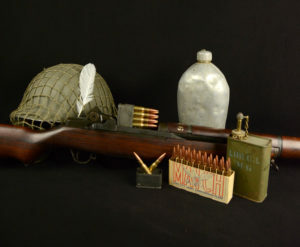 He was also the overall winner of the Modern Military Match with a score of 266-7x and landed in second in the Garand Match, which was topped by SSG Abraham Wallie, 29, of Southington, OH, with a score of 288-6x. Overtaking the Springfield event was Jeff Brimmer, 52, of Angola, IN, with a score of 275-3x. In the Vintage Military match course, Bill Hemmingsen, 30, of Davison, MI, led the field with a score of 269-2x. 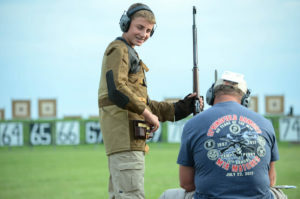 The win came as a surprise to Hemmingsen, who brought his Husqvarna Swedish Mauser on a whim – having only fired the rifle a few times previously and removing it from his gun safe just a few days before the match at Camp Perry. 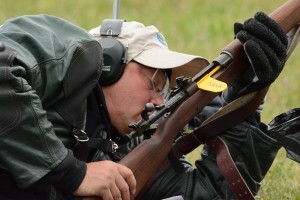 Bill Hemmingsen was the overall winner of the Vintage Military rifle event on Petrarca Range. Along with being a testing ground for his rifle, the November event also served as Hemmingsen’s first on the CMP’s electronic targets. Hemmingsen got started with the CMP back in 2009 when he and his dad, Mike, purchased their first M1 rifles from the North Store. 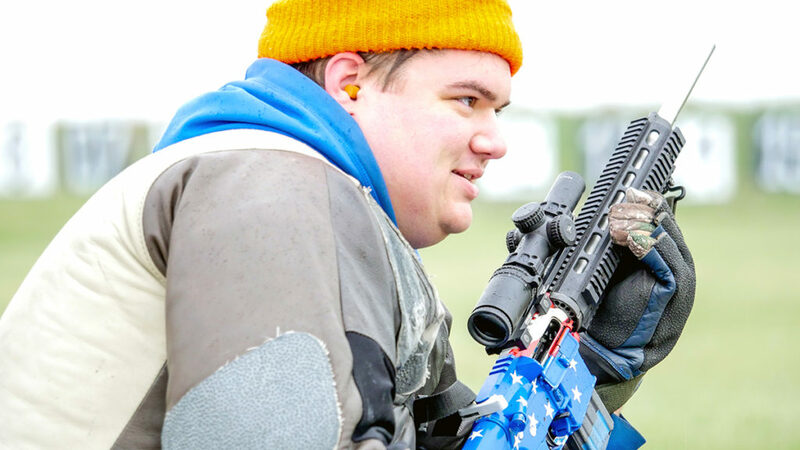 Later on, Mike took that CMP Special to an event and ended up winning the match. “Since then, he hasn't won,” Bill teased with a laugh. Mike joined Bill during the cold November match at Petrarca Range. Though the men had to keep warm between relays by running over to the provided space heaters to stay warm, prep, then hurry back to sling up, there was still no other place they would’ve rather been than together. Smiles still emerged on the firing line, even though bitter temperatures forced competitors to bundle up. 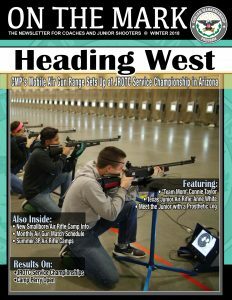 The traveling electronic targets featured at Camp Perry in November toured the country in 2017 – making full appearances at the Oklahoma CMP Games, Eastern Games in North Carolina, New England Games in Vermont and Western Games in Arizona. First featured on Viale Range at Camp Perry back in June during an EIC match and through an entire week of CMP Cup Matches, the targets made a return in November to a diverse crowd of competitors – some who had never shot on the system before and those who returned just for the chance to try it out again. “There were about eight of us in our group, and we all agreed that none of us would have been there had the matches been on conventional targets with pit duty,” said Brian Lui, 36, of Willoughby, OH. With the electronic target system, scores are automatically shown on monitors next to competitors – eliminating the need for pit duty. 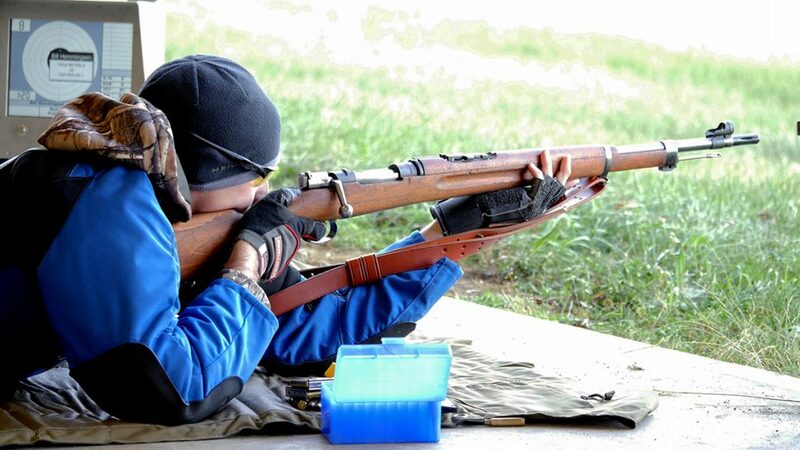 A seasoned competitor in the John C. Garand events, this was Lui’s first year shooting service rifle competitions. 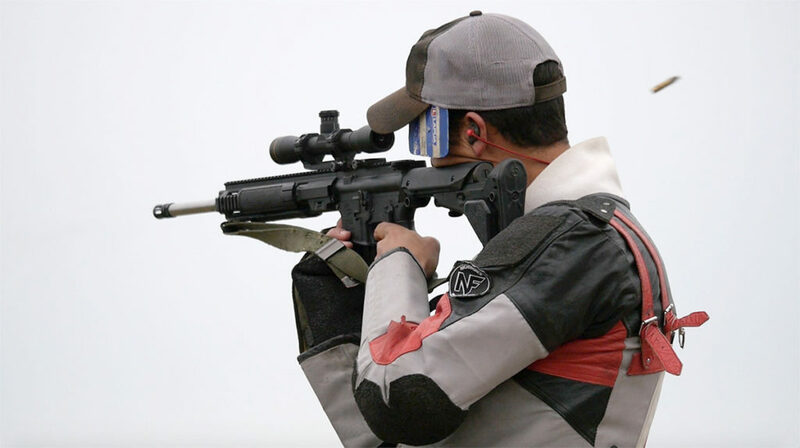 He made a trip to the National Matches and fired in the President’s 100 and Hearst Doubles matches, along with testing out the electronic targets (powered by Kongsberg Target Systems – KTS) during CMP Cup Week. 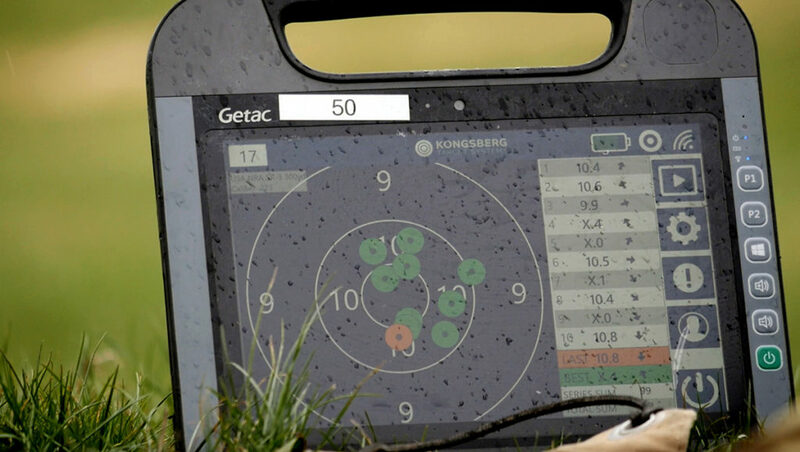 He enjoyed the targets so much that he decided to give them another go in November during the 800 Agg and EIC events, admitting he’s anxious to use them more in the future. For a complete list of results for the GSMM Match, visit https://ct.thecmp.org/app/v1/index.php?do=match&task=edit&match=15667&tab=results&tab=results. 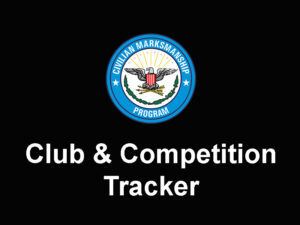 To view results of the 800 Aggregate and EIC Match, visit https://ct.thecmp.org/app/v1/index.php?do=match&task=edit&match=16001&tab=results. 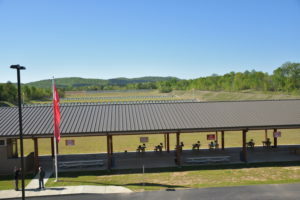 Petrarca Range is located at the Camp Perry, next to the Gary Anderson CMP Competition Center. The range contains CMP Targets, powered by KTS, which work through the power of acoustics – “hearing” the shot and accurately determining its location. 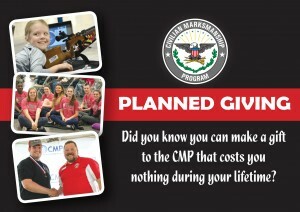 The CMP is proud to share these targets that are certain to be known as the way of the future. 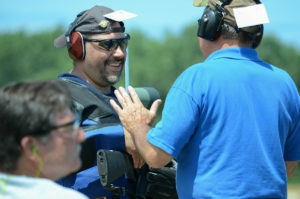 To learn more about CMP Targets at Petrarca Range, including an Open Shooting schedule, visit http://thecmp.org/competitions/cmp-targets-at-petrarca-range/. The traveling electronic targets are powered by Kongsberg Target System (KTS) technology, where the targets determine shot location acoustically and immediately provide the shot value on monitors located beside each shooter on the firing line. The use of KTS technology not only provides fast and accurate response times, but also allows for quicker matches by eliminating the need for pit duty – a convenient way for young, elderly or physically weary competitors to continue to enjoy the sport. For info on rules pertaining to electronic targets, visit http://thecmp.org/wp-content/uploads/ESTScoringRules.pdf.